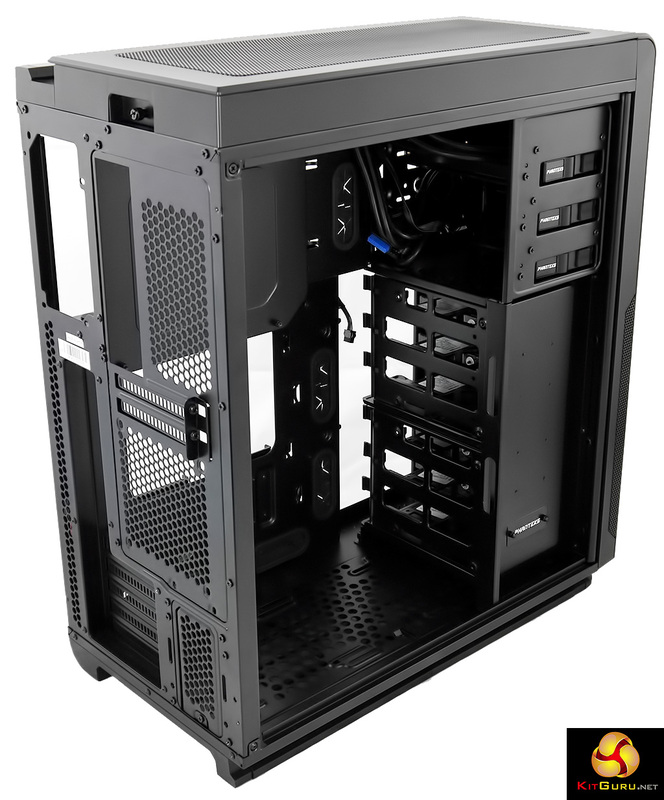 When Phanteks first launched its Enthoo Mini XL case we were, in almost equal measure, impressed and confused. 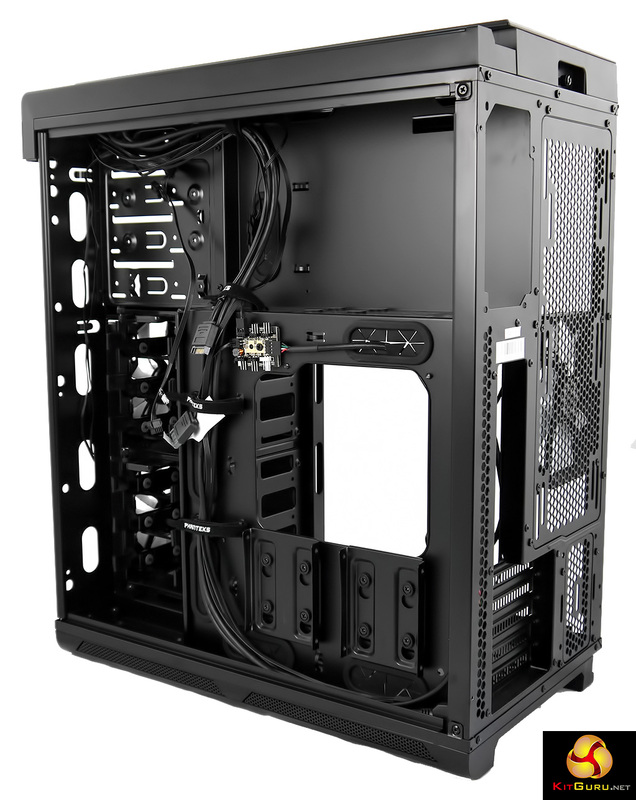 This was an enormous Micro-ATX case that offered the option of installing two systems at the same time in one PC chassis. 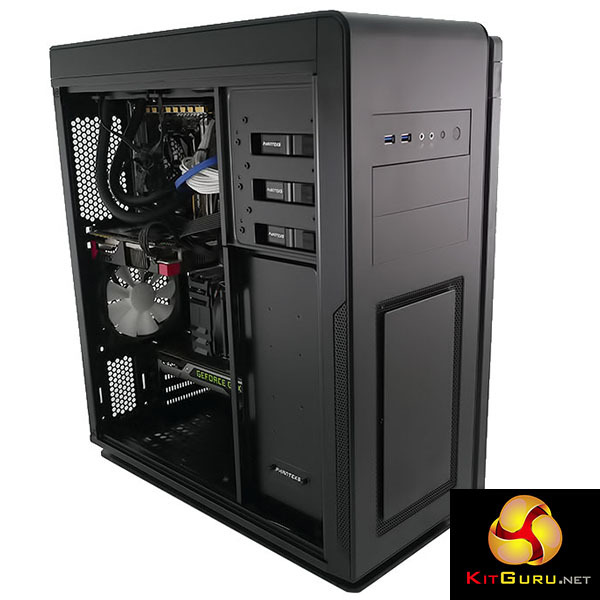 It took a fair amount of work to build the PCs but the results were pretty decent and overall we were satisfied. Phanteks knew there was room for improvement and this Enthoo Mini XL DS (for Dual System) addresses the points we raised in our first review. 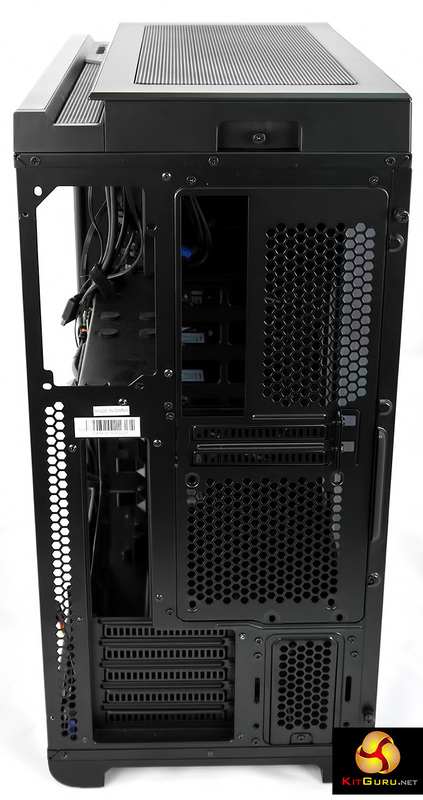 For one thing the Mini ITX conversion kit has been installed at the factory and for another you can now retain the 120mm fan at the rear of the case where you previously had to dispense with the 140mm fan that was provided, if you wanted to install dual systems. The biggest change is Phanteks’ own Power Splitter which means you can run both PCs from a single ATX power supply. 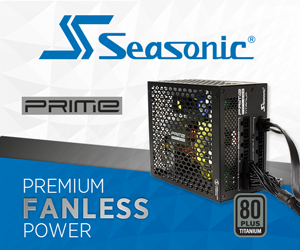 This means you no longer require a secondary SFX power supply which frees up a decent amount of space inside the case and also helps keep the cable runs tidy. You might expect these extras would increase the price however the Dual System bundle costs the same £150 as the original Enthoo Mini XL so it has effectively had a significant price cut. 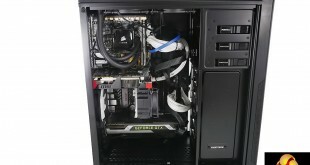 Motherboard support: Micro-ATX and Mini-ITX simultaneously. 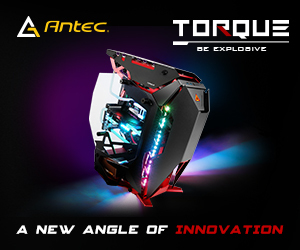 Included fans: 2x 140mm front intake, 1x 120mm rear exhaust. Fan mounts: 2x 120/140mm front, 3x 120mm or 2x 140mm top, 1x 120/140mm rear, 3x 120 or 2x 140mm bottom, 2x 120mm on HDD cage, 2x 120mm side. 120mm radiator mounts: 120mm/240mm front, 120mm/240mm/360mm top, 120mm/240mm rear, 120mm/240mm/360mm bottom, 120mm/240mm side. 140mm radiator mounts: 140mm front, 140mm/280mm top, 140mm/280mm rear, 140mm/280mm bottom. Internal drive bays: 6x 3.5, 4×2.5″. Dimensions: 540mm H x 480mm D x 260mm W.
The Phanteks Enthoo Mini XL DS is such an unusual case that describing it feels a little like trying to describe a spiral staircase while keeping your hands in your pockets. It will make life much easier if you watch our video (above) and study our photos as a great many of the basic points should become clear. 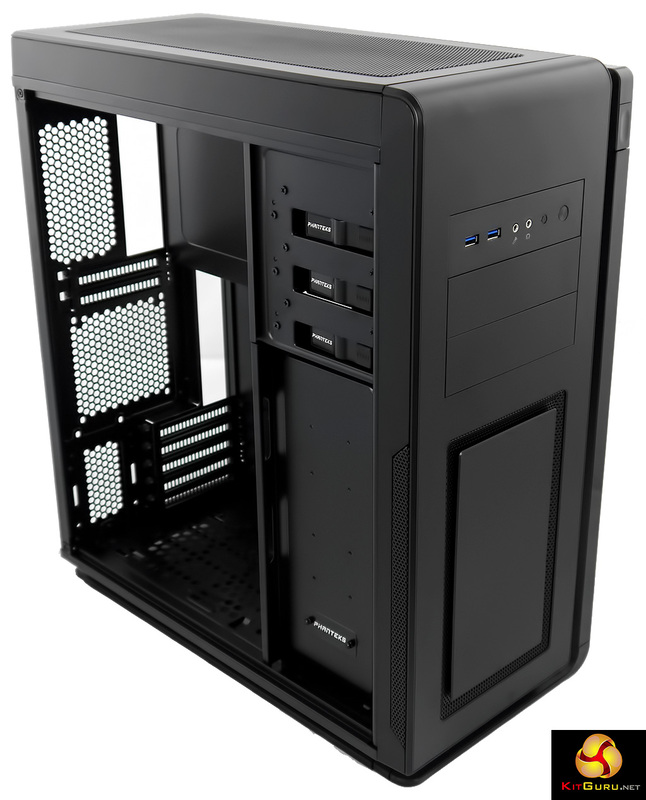 The Phanteks Enthoo Mini XL is a big case and it gets pretty darn heavy when it has two PCs built inside. The process of building the systems is relatively straightforward, once you decide on your course of action. 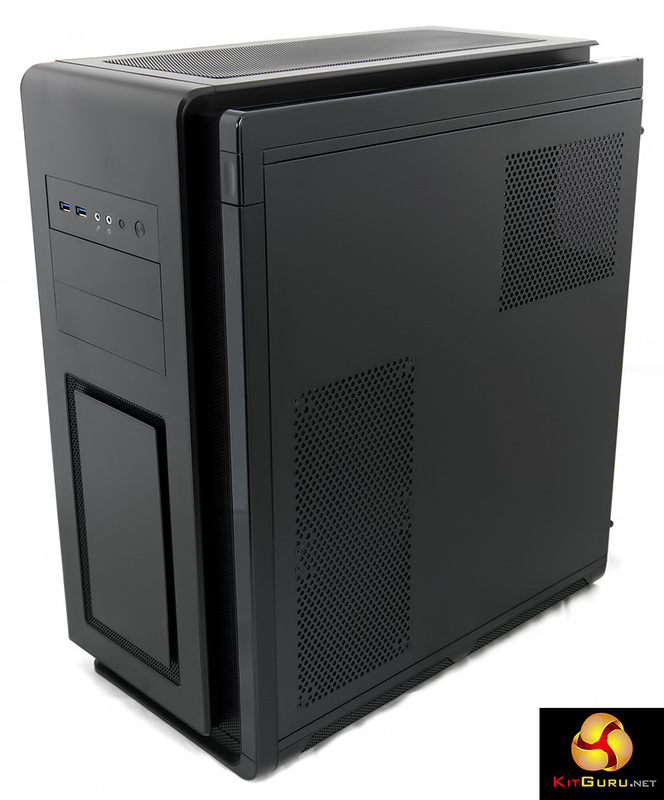 Do you want two high end PCs (Gaming and workstation) or a mix (Gaming and Twitch or Gaming and Server)? 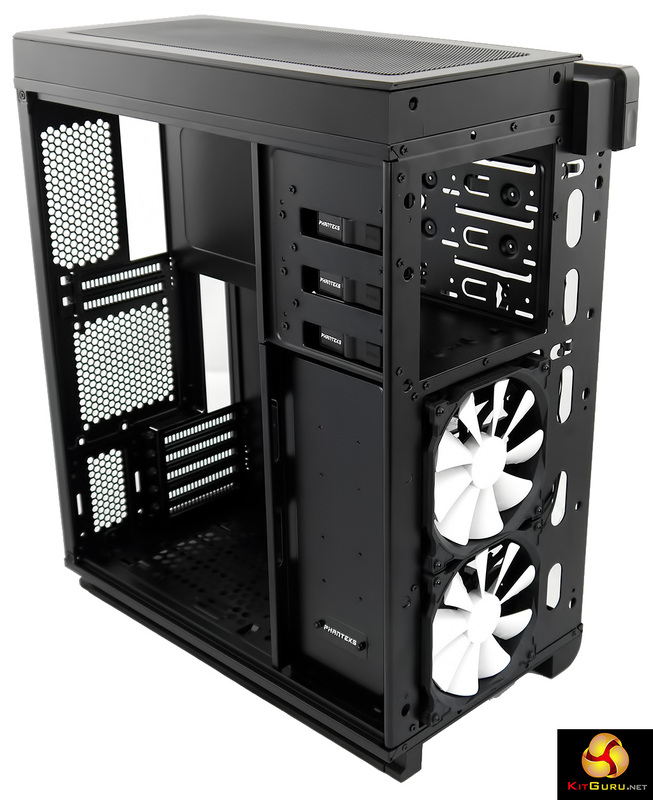 Then you need to decide which role will be played by the Mini-ITX side of things and which by the Micro-ATX. The other big decision centres around those drive towers. 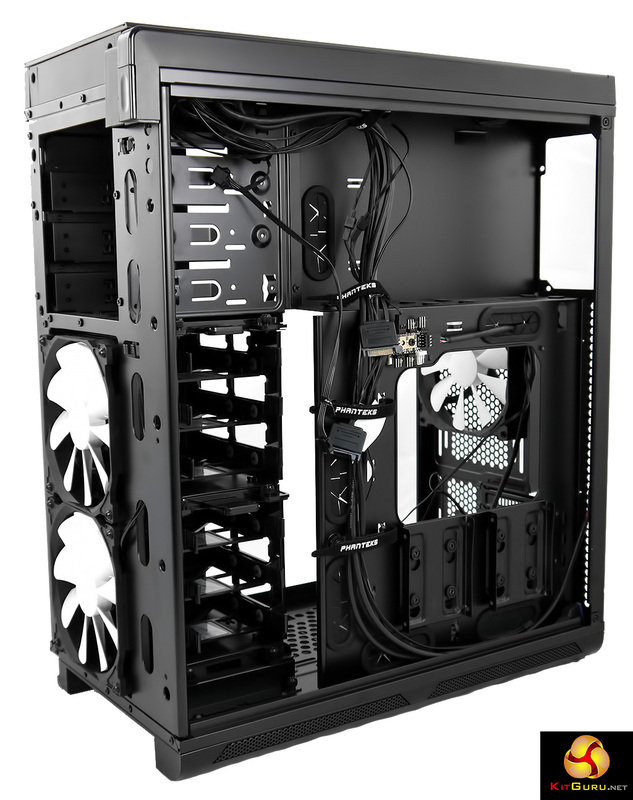 Do you want to retain the ability to install up to six storage drives at the front of the case or do you plan on using that area to install a custom loop using the Phanteks accessory mounts. 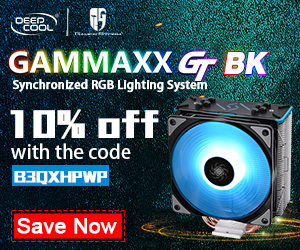 That may sound like double the number of decisions you usually make when you build a PC but in fact it is more than that as each system affects the others to a certain extent. 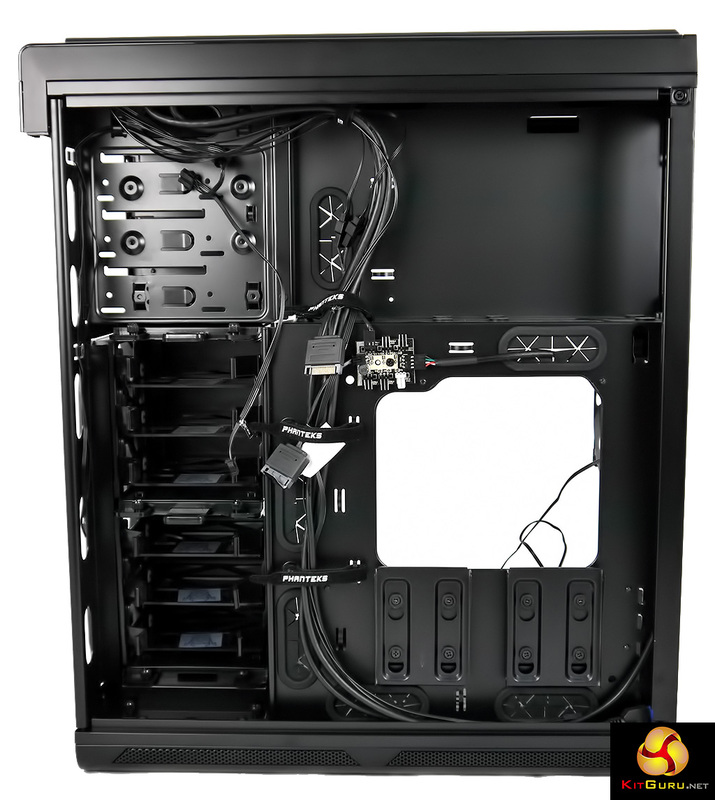 If you want to install a cooler in the roof of the case it will probably serve the Mini-ITX motherboard as that is located at the top which in turn means that location cannot be used to cool the Micro-ATX motherboard, down at the bottom. 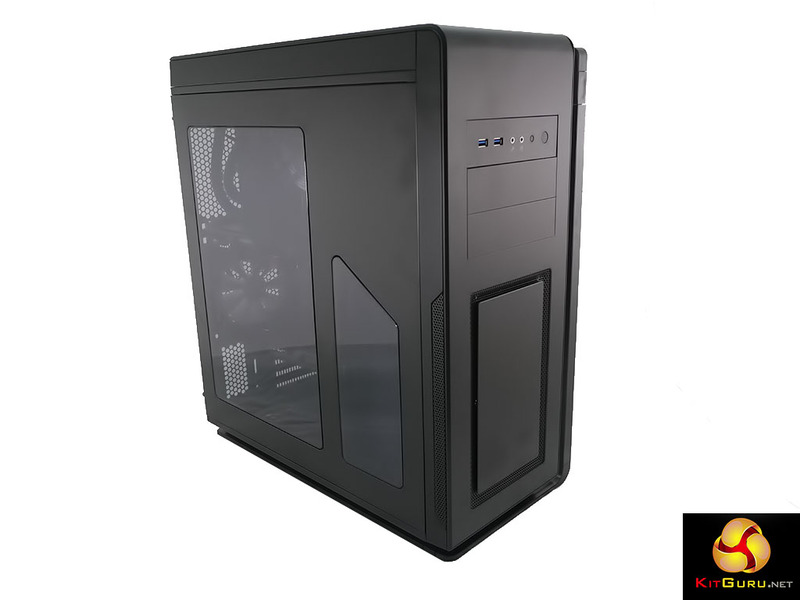 Once you have laid out your plans and gathered a large pile of components you can begin the build and we predict you will be pleasantly surprised. 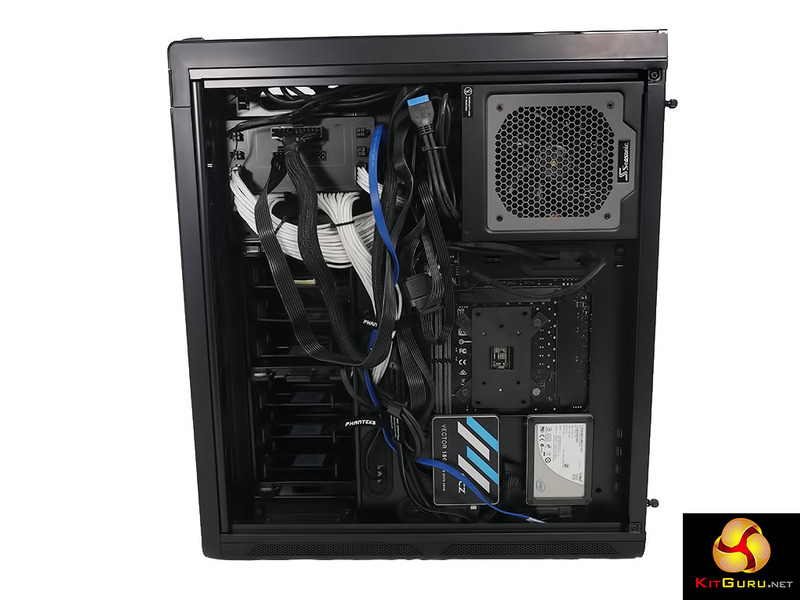 The use of a single ATX power supply and the Phanteks power splitter transforms the process and also helps the process of cable management. There is still the business of packing two PCs inside one (large) case but it doesn’t require any particularly mad skills. 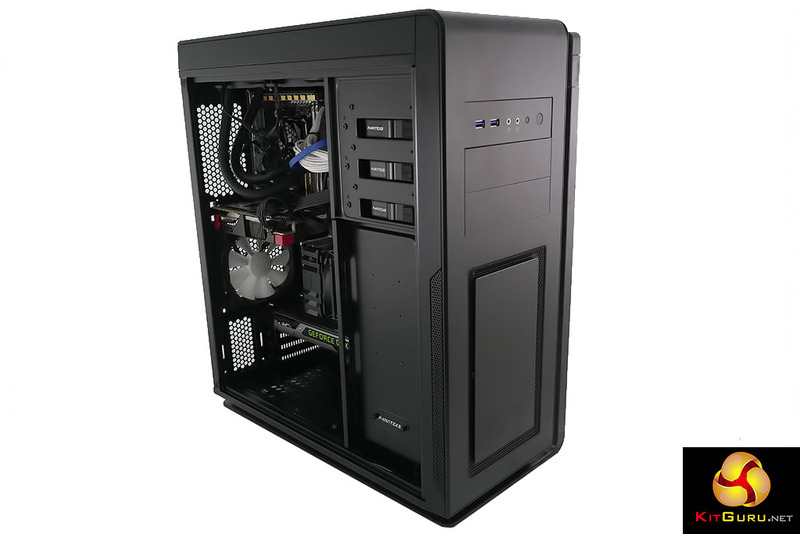 To put this case through its cooling paces we will be using two test systems, both based on Intel Core i7, one 4th Gen and the other 6th Gen. The graphics cards are GTX 760 and GTX 980 and as you will see in the video and photos we have a single ATX power supply running both systems. This set-up allows us to produce a substantial amount of heat and effectively test the Phanteks Enthoo Mini XL‘s cooling capabilities. 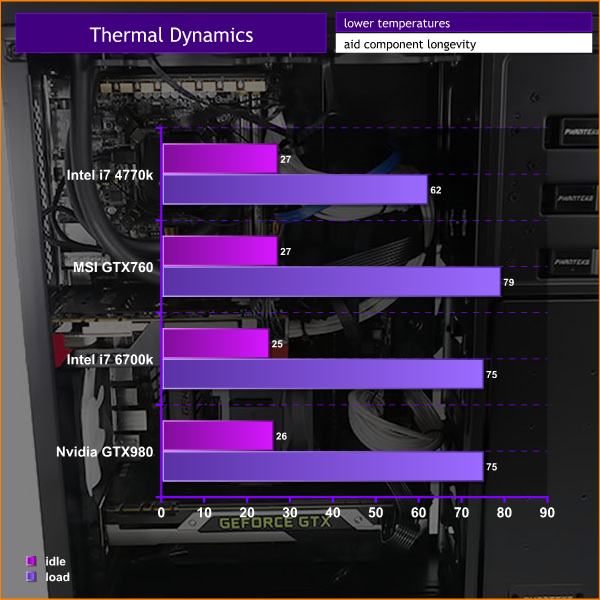 For stress testing we use AIDA64 to create the maximum heat output which creates the maximum amount of load our CPU and GPU are ever likely to see. 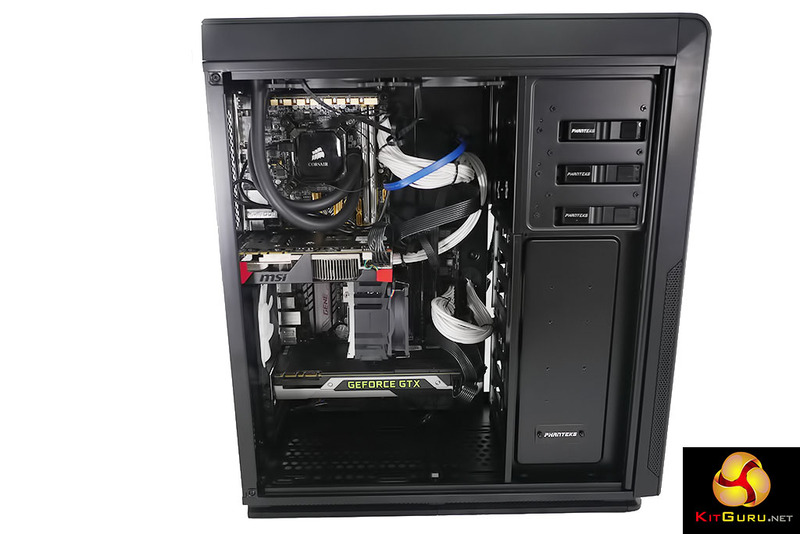 In the configuration we used, the Phanteks Enthoo Mini XL DS is not especially quiet as it has a Corsair liquid cooler whirring away in the roof of the case, an air cooler on the second CPU, a pair of graphics cards and a number of case fans, along with the fan on the Seasonic power supply. None of those fans is especially noisy but the sum of the parts sounds like a piece of serious equipment, which is a fairly accurate assessment of the situation. 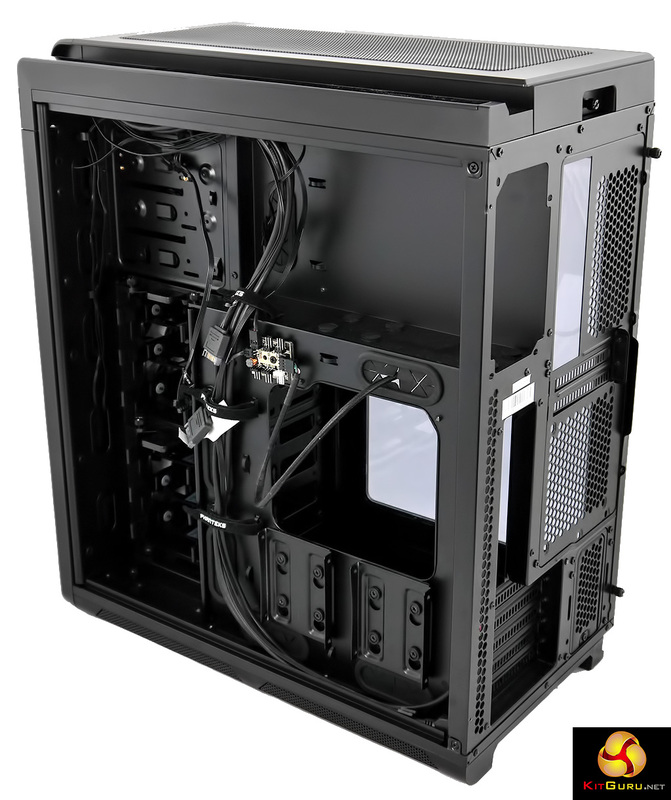 If you worked hard on a custom cooling loop for the Micro-ATX PC you could undoubtedly quieten down this dual system. Cooling is a bit of an oddball as we installed a tiny air cooler on the Core i7-6700K to show off the innards of the Phanteks in our video and photos. 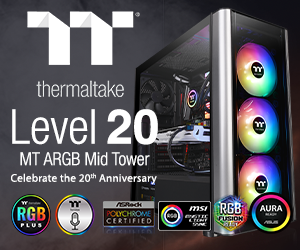 As a result the top Mini-ITX system with Corsair H100i works exactly as expected while the Micro-ATX Core i7-6700K runs the CPU somewhat hotter than necessary. 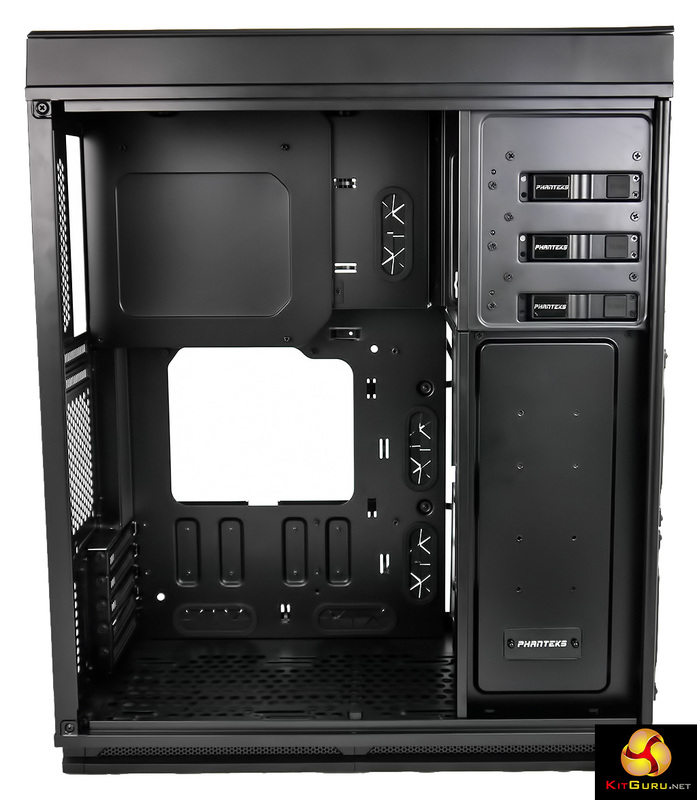 Air flow is good in this case and you can certainly cool the hardware down to a sensible level without any problems. 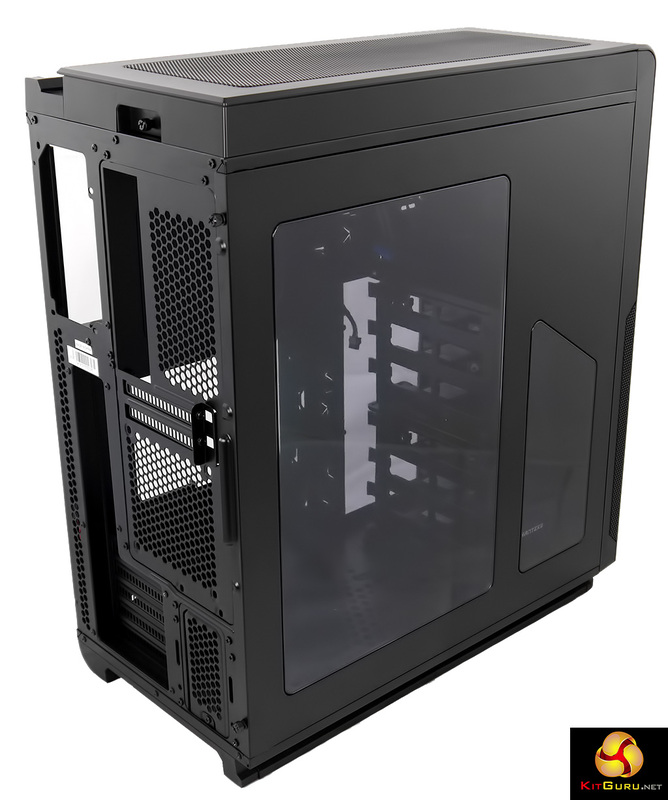 When we first saw the Phanteks Enthoo Mini XL we wondered about its potential and struggled with the hassle factor when it came to building two systems inside one case. This DS package makes life much, much easier. 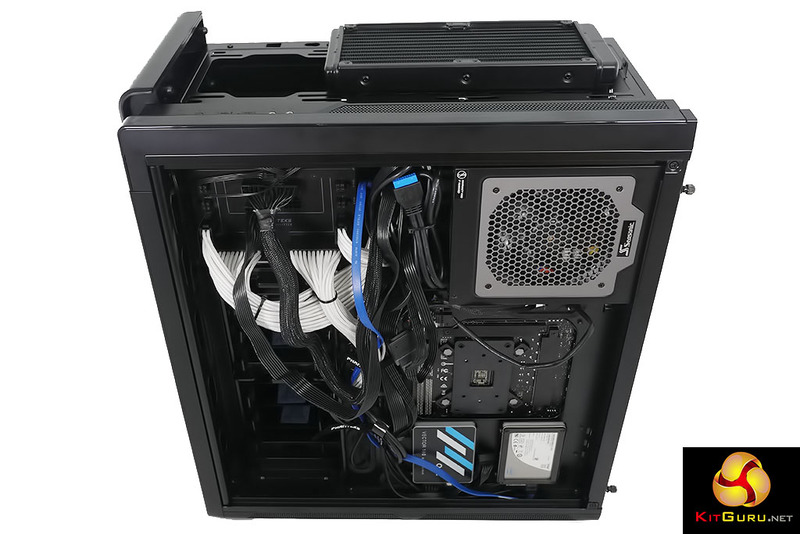 It helps that the ITX conversion kit is installed in advance but mainly we like the inclusion of the power splitter which transforms the case to an amazing extent. The fact the price has also dropped is, of course, welcome. Nonetheless we still have to wonder who wants to build two PCs inside one case, instead of owning two PCs, or a PC and Mac, or a PC and laptop. Clearly it is a nice product but if you are sitting in the audience with your hand in the air shouting ‘Me, me’ the answer is clear, you should buy the Phanteks Enthoo Mini XL DS immediately. If you already own the Phanteks Enthoo Mini XL we strongly recommend you buy the power splitter as it will tidy your PC build significantly. 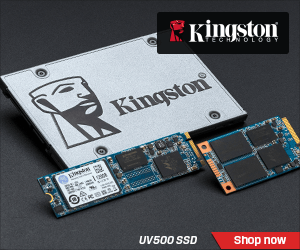 Huge list of options for hardware, cooling and drive bay configurations. Power splitter means you can run two PCs off one power supply. Dust filters at bottom and front click out for easy cleaning. Roof filter is integrated in the top cover which simply pulls off. Remove the drive towers and you can install the pump mount, reservoir mount and extra radiator bracket in the accessory kit. The price has been reduced by a significant amount. Bezel on 5.25-inch I/O panel prevents the front panel pulling off cleanly. Access to rear of Mini-ITX board is blocked by the power supply. It’s a big, heavy case. 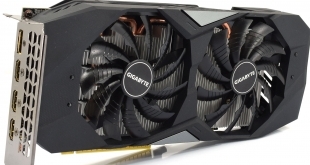 Mini ITX cooler is limited to about 140mm height. 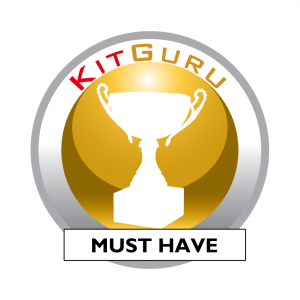 KitGuru says: If you need a system that can house two full systems, the Phanteks Enthoo Mini XL DS should be making your final shortlist.